BelarusDigest > All > Belarus Government to Establish Serfdom in Agriculture? On 27 May Lukashenka announced several radical initiatives that would virtually introduce serfdom into the nation's state-run farms. Two weeks later it remains unclear how serious Lukashenka was but the authorities like to resort to drastic administrative policies to regulate the economy. In recent years Belarus invested $37bn in its agricultural development programme, but the sector continues to fall. The authorities hope that if they are succussefully able to employ old-Soviet methods, they will save their declining agricultural sector, though the likelihood of their success seems improbable at best. The administratively regulated economy actually causes many of the ineffiencies in the economy that bring about their decline, rather than can alleviate them. On 27 May Alikasandr Lukashenka held a meeting on agriculture with the nation's main senior officials working in the sector. Agriculture has always been an issue that has been afforded special attention of Belarusian leader who used to work as a director at a collective farm before he rose to prominence on the political scene in the 1990s. In recent years the state invested $37bn in its agricultural development programme, but the sector continues to fail to meet the state's planned growth trajectory throughout the country. One example of this general trend can be found in the results gathered over the last three years where all six regions of Belarus were unable to fulfil the nation's development plan for its dairy industry. Meanwhile, the debts acquired by collective farms continue to grow. Doctoring production rates remains another major problem, since the farms have to fulfil their unique administratively issued plan. As was true during the soviet era – if they cannot fulfil their quotas, they just start making the figures up to meet the projected production volumes. As would be expected, the real production rates and those on paper differ considerably. According to some estimates, Belarus loses $1.5bn annually due to the poor management of their collective farms. The sector badly lacks qualified managers and workers, and lacks incentives to bring in a qualified work force, as the sector makes only 65% of the average national salary. Due to this and the absence of basic infrastructure, it has unfortunately secured a place in the Belarusian psyche as one of the least desirable fields of employment for Belarusian youth. According to the first deputy PM Uladzimir Siamaška, Belarus loses $1.5bn annually due to the poor management of their collective farms. The government also provides subsidies to agriculture in Belarus that account for 49% of the gross value of its total agricultural production. The sector badly lacks qualified managers and workers, and lacks incentives to bring in a qualified work force, as the sector makes only 65% of the average national salary. 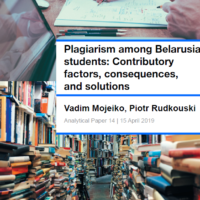 Due to this and the absence of basic infrastructure, it has unfortunately secured a place in the Belarusian psyche as one of the least desirable fields of employment for Belarusian youth. Collective farms enjoy various forms of preferences: they pay lower taxes, buy fuel and fertilisers at a considerable discount than others and receive direct budget subsidies from the state. Moreover, often they simply do not pay off their debts. Given their special status, Belarus pays twice over for their inefficiency, as the government forces banks to write their debts off. Russia accounts for 90% of Belarus' agricultural exports, but after it entered the WTO in 2012, Belarus has had to compete with an influx of goods reaching Russia's markets coming in from around the world. This has, in turn, made Belarus' weak agricultural even more vulnerable. According to its Eurasian Economic Union commitments, Belarus has to reduce its subsidies for agriculture to a rate of 10% of its GDP till 2017. The way things are currently going, it can hardly be expected that such a stagnant sector will survive such a heavy blow. To deal with the growing problem, on 4 February Lukashenka created an inter-agency group of 26 high officials headed by PM Michail Miasnikovič to study the issues facing agriculture and seek viable solutions for them. The group suggested several measures that would introduce more market-based mechanisms into agriculture's 'managed economy'. The measures were not particularly controversial and were recommended to the Belarusian authorities by international bodies in the past. They included proposals like liberalising prices, boosting private incentives and introducing serious improvements in the sector's management. The administration, for its part, decided that other measures were needed. On 14 May deputy PM Michail Rusy informed journalists that the government is planning on introducing criminal liability for the somewhat vague concept of 'mismanagement in agriculture'. And on 27 May Lukashenka decided to reveal some more radical initiatives in this vein. I talk about it so forcefully because I have a decree on my table, which suggests we impose, let's speak frankly, serfdom. We vest the regional governors with complete authority. You [agricultural workers – BD] will not be able to quit or change your workplace. You better get a move on, because people will complain that we are suppressing them, but we work ineffectively ourselves. So, in the coming week all powerswill be transferred to the local authorities…Mobilise people, all security services will now be directly subordinate to the regional governors. The Russian Gazeta.ru online news site managed to get through to a Ministry of Economy official, who asked to remain anonymous. According to him, such this move has been under consideration at the highest level of government for some time now, and after a long wait, Lukashenka finally chose to announce this proposed policy to the broader public. The problem is that people are simply fleeing from the nation's villages to regional centres and Minsk, which have absorbed almost a third of Belarus' population. One would be hard pressed to find anyone but pensioners and alcoholics remaining in the villages, as all young and capable working people are moving to the cities, according to their official source. The Soviet authorities used similar methods to restrict the free movement of peasants during collectivisation. They carried out several heavy-handed policies, some as devious as starving the population and others, less brutal, such as giving them wages that were lower than subsistence levels for all their hard labour. 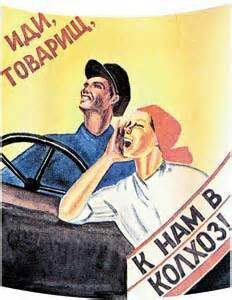 To keep the peasants in collective farms, the Soviet government provided them with the special status of collective farm members – individuals who were, in fact, the state's serfs. They had no right to apply for an internal passport which would allow them to travel or move around the republics. If they had to work beyond their assigned place of residence, they received a document which explained the reason for their move. Belarus seems to continue to appreciate the legacy of the USSR's economy as evidenced by it resorting to implementing drastic administrative measures which violate basic human rights. In 2012, Lukashenka issued a decree on the wood processing industry, which restricted the resignation of workers at 9 enterprises that were at the time participating in the national lumber industry modernisation programme. A worker could resign only if his boss allowed him to, or should this fail, their only other option was a direct appeal to the region's governor. It remains unclear the potential form and content of this new wave of serfdom may take. Optimists hope that Lukashenka is simply spouting off more empty rhetoric. However, regardless of what happens, these issues demonstrate the deep problems that permeate the whole Belarusian governmental system. Decrees and potential decrees like them reveal how the system functions. Administratively rigid, it cannot operate other than by coercion, and yet should their coercive methods begin to gain steam, it will surely lead to further declines in agricultural productivity. Collective farms have proven to be largely ineffective, but the government still conducts itself in a rather unfriendly, if not hostile, manner towards private farmers who at present account for only 2% of the nation's agricultural production. To this day Belarus does not have a legal framework that establishes land as private property, but is rather subject to 99 year leases, with the best lands usually remaining in the hands of the state. While billions were dumped into propping up and modernising its ineffective collective farms, private farmers were not subject of even a single programme of state support. It is no wonder then that agriculture has become one of the least attractive sectors for business and has made the idea of becoming a young farmer akin to madness. To change the situation the government needs to look at fundamental issues like property rights and establishing a market economy. Coercive measures will only postpone the crisis of agriculture and sustain the image of Belarus as the Europe's last dictatorial regime. 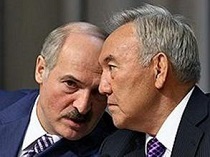 Eurasian Allies: Can Belarus Learn from Kazakhstan? While the Kremlin has achieved its primary goal by launching the Eurasian Economic Union last month, the leaders of Belarus and Kazakhstan look unsatisfied. Both want to slow down the integration project's progress down and prevent it from spilling over in the political arena. However, Kazakhstan and Belarus lack common long-term goals, and their respective economic cooperation and any potential joint projects the might come up with would likely face obstacles as they try to get past Russia. Though Belarus and Kazakhstan share the fear​ due to the Ukrainian crisis, Nazarbayev is in a better position to pull his together country. His policies have long aimed at strengthening national identity, appointing Western-educated professionals into senior positions and maintaining room for geopolitical manoeuvring. Belarus, it would seem, has quite a bit to learn from Kazakhstan. On 29 May, the presidents of Belarus, Russia and Kazakhstan established the Eurasian Economic Union. Despite the fanfare surrounding the event, Nazarbaev and Lukashenka openly criticised the agreement a few days before the treaty's signing. The Belarusian head of state stated that this document differed from the one the parties had talked before. As of late Belarus and Kazakhstan often appear to be in the same camp. Lukashenka and Nazarbayev both want to slow down the whole Eurasian integration project, or at least prevent it from going beyond economic agreement into real political integration. Both leaders have criticised the idea of creating a Parliament of the Eurasian Economic Union being fully aware that this would politicise the union and would almost surely be dominated by Russia. Moreover, Belarus and Kazakhstan worry about their ties because of Russia's role in the ongoing Ukrainian conflict. A growing number of voices from both countries criticizers Eurasian integration. For instance, new regulations for business, which would stifle both Belarusian and Kazakhstani businesses, remain of the most frequently discussed effects of Eurasian integration. An imminent increase on the amount one has to pay for duties on imported cars also raises concerns. Many also expect unrestricted Russian dominance over the Eurasian Economic Commission, the new economic union's main governing body. However, in spite of their converging interests, Belarus and Kazakhstan have yet to coordinate their foreign policies towards Russia. Although in public officials talk about steady increases in imports and exports between each other and the importance of their strategic partnership, they both lack any particular affection for one another. Why Countries Cannot be Partners? Belarus and Kazakhstan distrust each other, in part, because they lack common long-term goals. They both became members of the Eurasian Economic Union primarily because of Russian pressure, not fruitful bilateral relations. Their bilateral cooperation remains tiny considering their respective relations with Russia. In 2013, trade between Belarus and Russia appeared nearly 40 times greater than it was with Kazakhstan. In the case of Kazakhstan, it trades 30 times more with Russia than it does with Belarus. In the political and military arena, the proportions look even more significant. For Kazakhstan, bilateral relations play an even smaller role, as it has rather small volume of exports that make their way to Belarus. Moreover, the Eurasian Union for Kazakhstan and Belarus remains little more than a mean to extract economic benefits from Russia. In this regard they look more akin to competitors than allies. Geographical distance became one of the most serious obstacles to build their mutual trade relations, although Russia plays its own role in hindering their cooperation. Belarus and Kazakhstan have been negotiating an increase of the transit of Kazakh oil through Belarus and even its processing​. Kazakhstan alsoremains interested in participating in the privatisation of Belarusian oil refineries, a role that is reserved for Russian business. In 2012 Kazakhstan's Ambassador to Belarus Ergali Bulegenov explained that not only would Belarus and Kazakhstan play a role in these negotiations, but Russia would as well. Military-industrial cooperation can be named one of the successes of mutual relations. Belarus, for example, modernised 10 fighter jets for Kazakhstan, and as recently as the end of May more than 10 Belarusian companies participated in armaments exhibition in Kazakhstan. Today, both countries require the expertise of the other. Belarus has few, if any, real experts on Kazakhstan, although the country, at least formally, looks the second most important partner of Belarus after Russia. Due to the Ukrainian conflict, Belarus and Kazakhstan have inadvertently stumbled into a very similar geopolitical reality. Both nations remain authoritarian and afraid of outside interference in their internal affairs and realise possible cost of freeing themselves from Russia's grip. Unlike Lukashenka, Nazarbayev’s regime has been steadily strengthening the position of the Kazakh language and has made plans to switch over from its modified Cyrillic alphabet into using the Roman alphabet. He plans to elevate the Kazakh language extend beyond the nation's borders. On 28 April during his lecture at Moscow State University, the long-time Kazakh leader said that Eurasian Economic Union institutions should use the state languages ​​of all its member countries in its operations. The Kazakhstani authorities are increasingly appointing foreign university graduates, who have received training through the Bolashak scholarship program, to senior positions in the government. Around 10,000 Kazakhs have received higher education abroad, mostly in the U.S. and the UK, thanks to this program. Certainly, Kazakhstan remains an authoritarian country, but the Belarusian authorities seem reluctant to make even minor cosmetic reforms. Kazakhstan also has more space for geopolitical manoeuvring. On the one hand, China has substantial energy interests in the country and can act as a kind of counterbalance to Russia's influence. On the other hand, the West holds Kazakhstan in high regard, unlike Lukashenka's Belarus. After the Crimean conflict erupted, Lukashenka held talks only with Polish PM Donald Tusk, while Nazarbayev spoke with Obama and Merkel. Kazakhstan and Belarus find themselves precisely where their life-long leaders have led them. However, Nazarbayev looks much more determined to preserve the independence of his country by strengthening its national identity and bringing in young professionals to work for the state. Lukashenka might consider picking his counterpart's brain for a bit – before it is too late.